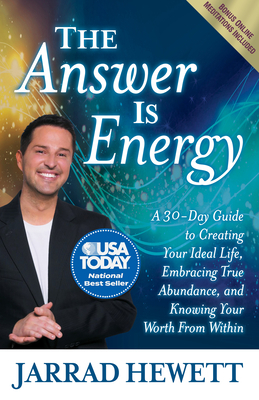 The Answer Is Energy provides thirty chapters of guidance and stories that reveal how to shift energy and reframe thinking about family, money, relationships, abundance, and control to live in the moment of now. When someone's energy is in alignment with their true intention of being healthier, happier, and more productive, great empowerment and life changing transformation occurs. On this thirty-day journey, Jarrad Hewett, a multi-dimensional energy expert, shows readers how energy creates with thoughts, feelings, and beliefs. He teaches readers how to quickly shift into a paradigm of ease, bliss, love, abundance, and tranquility. The Answer is Energy helps readers to seize their best life by showing them how to not let their inner programming and the worn-out stories of their past crowd out their dreams and aspirations. People are continually looking for solutions "out there" and forget that they have all the magnificent resources and tools inside themselves to catapult their life into the stratosphere by tapping into their own abundant source of energy.